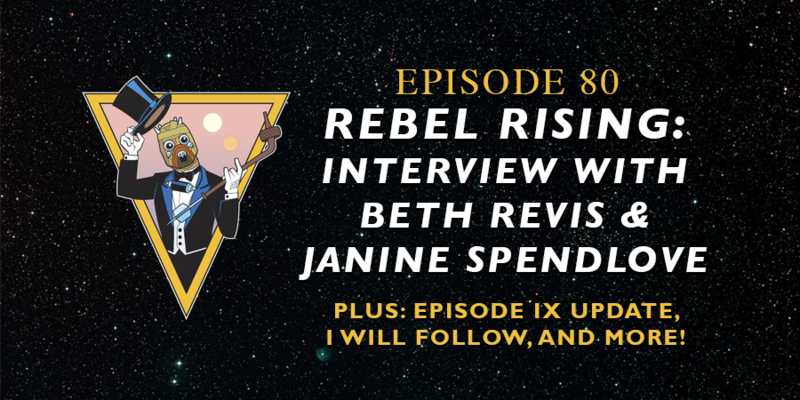 On this episode of Unmistakably Star Wars, authors Beth Revis and Janine Spendlove come on the show to discuss writing, Star Wars, and Beth's new book Rebel Rising. The segment that is sweeping the nation: "I Will Follow"
Devin, Eve, and Jeremy discuss the new release date for Episode 9 and what that announcement might tell us about the future of the series. Jeremy shares how he pissed off kids in the school lunch line by using Star Wars. Devin is growing a beard to look like "hot Kallus"
Who really is writing Episode 9 and should we be ok with that? Eve has a "Hall Pass"